Areas of Expertise: Public opinion, democratization, civic engagement in the Arab world, international relations, women and gender, electoral behavior, governance, immigrants, and religion and politics. Amaney Jamal is the Edwards S. Sanford Professor of Politics at Princeton University and director of the Mamdouha S. Bobst Center for Peace and Justice. She is also a co-founder and principal investigator at the Arab Barometer. As Director of The Mamdouha S. Bobst Center for Peace and Justice, Professor Jamal leads a collaboration with the American University of Beirut, Lebanon, which provides opportunities for faculty and graduate exchanges and research on the roles of social justice and political life in the Arab World. Jamal also directs the Workshop on Arab Political Development. She currently is President of the Association of Middle East Women’s Studies (AMEWS). 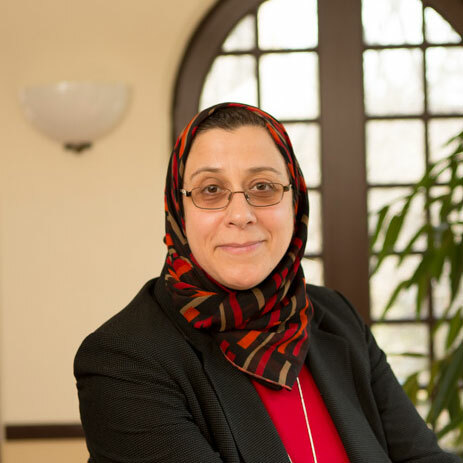 She is a senior advisor on the Pew Research Center projects focusing on Islam in America (2006), Global Islam (2010), and Islam in America (2017). Public Opinion in the Arab World: What do the latest surveys tell us?